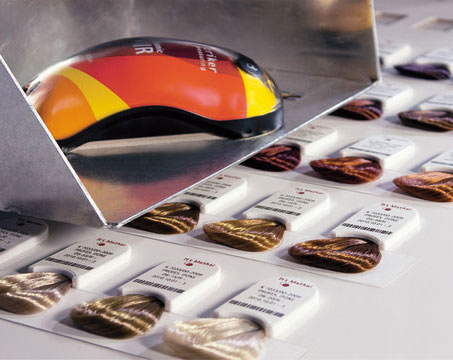 The delivery includes the unique colorStriker software. 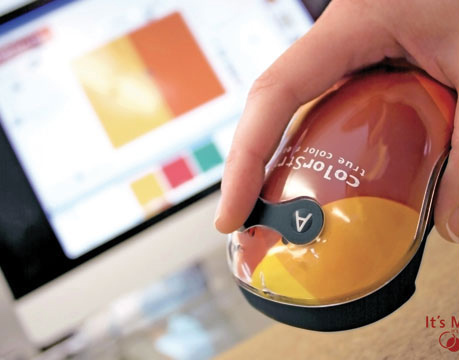 It ensures authentic reproduction of the appropriate colours on the monitor, as well as direct visual comparison with reference measurements, manual data entry, external references, and standard colour tables. 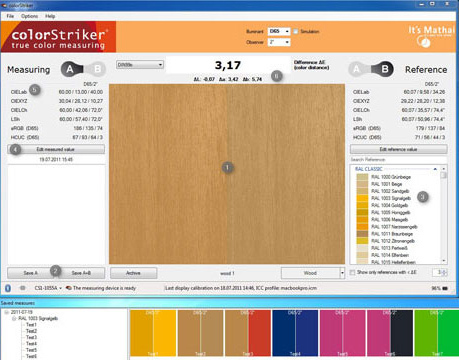 In addition, you can create own colour archives and comfortably manage. Check the desired colour effect in the most varied applications, for example to ingrain, signposts, or leather directly on the screen with the built-in texture library. create your own reference database, and create a better quality.